October 10th in Plugin Lists, Viral by Wordpress Jedi . 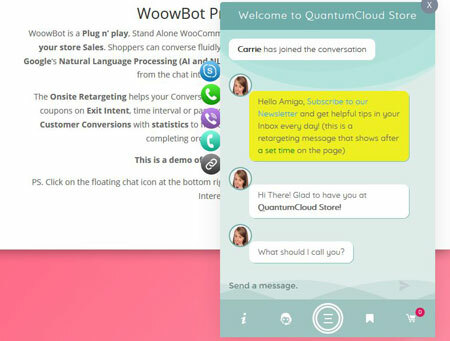 WoowBot: a chatbot for WooCommerce designed to increase your sales. It has natural language processing and can add products to cart directly from chat interface. You can also schedule ChatBot to run only when you are not available. 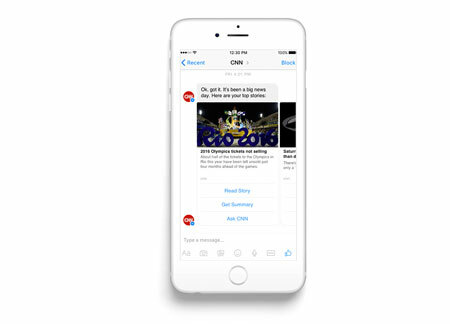 Facebook Messenger Chat with Bot: uses the Facebook Messenger Bot API to create a bot that can answer questions from your visitors. IBM Watson Assistant: adds IBM Watson to your website, so you can train it to answer common questions by your customers. You can use rich responses to deliver a more dynamic chatting experience. 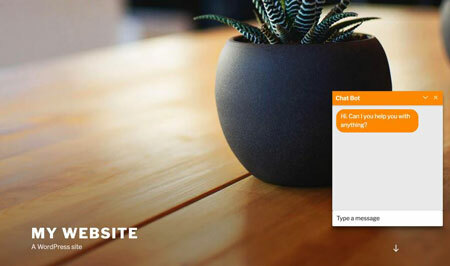 WP Chatbot: another plugin that adds Facebook Messenger to your site, so you can livechat with your customers and even serve them when you are not available. The premium version gives you more control over its various features. Bot Libre Chatbot: lets you add automated chat to your website using an open source platform. The bot can respond to users with speech and an animated avatar. Have you found smarter chatbots for WordPress? Please share them here.